Good Commercial of the new Jaguar XJ! I was lucky enough to get to drive this beautiful car. at what a beautiful piece of art this is! Call us today for an exclusive showing of the new XJ! This will be one super hot wagon!!! Sometimes it’s hard to understand what a car is really like until you see it in person. The Evoque is not a small vehicle in any way. I originally thought it would compete with the Mini Countryman, but after seeing it, the Evoque could easily go up against an Audi Q5. The interior may be a step above the Audi in some respects, and there’s a decent-size backseat and trunk. The exterior is truly stunning. 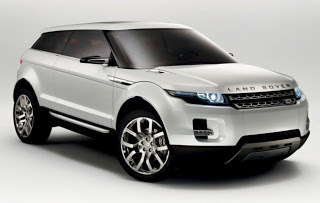 It’s the best-looking Land Rover since … well, Land Rovers aren’t vehicles that you gawk at, are they? The Evoques at the Land Rover stand were my favorite production vehicles of the show. They don’t just look great; they look like nothing you’ve seen before, and that gets harder to say every year. The interior exhibits excellent use of aluminum and uniquely textured leather. The giant skylight makes it seem open despite the low roofline. Magnificent. A striking exterior, handsome interior and surprisingly roomy backseat make the Evoque an easy win. I’m still put off by Land Rover turning the Range Rover moniker into the automotive equivalent of Apple’s “i,” but the detraction is minimal. The Evoque pulls off the tricky feat of being easily recognizable as a Land Rover while looking nothing like anything else in the automaker’s lineup. It instantly becomes one of the more appealing entries in the compact luxury crossover segment. Wow this is going to be an Amazing Vehicle!!! Good Idea we should be able to do that here in Colorado! This is a crazy video, do not think I would try this! The all new Saab 9-5 is a car that quite frankly not many people at our store were excited to see. Red Noland Saab recently had a Saab 9-5 launch party at our dealership. So in preperation for the show we started learning a little more about the car to get ready. We even started to drive one to get familiar with the vehicle. The only problem is that now it is very hard to test drive the vehicle because all of the sales staff want to drive it??? The car that not many cared about is the car that is just about on the top of everyone’s list now!!! 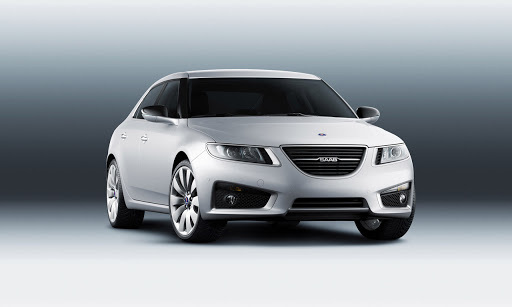 If you have not had a chance to drive the new Saab 9-5 I highly encourage you to stop by to see what all the buzz is about. I was lucky enough to get the chance to take the 9-5 AWD Aero model home. After pulling out of the dealership and heading down motor city drive, I started to realize that this car was something different. The first clue was the looks that I received from people trying to figure out what this car was. When I hit my first stop light a gentelman from another car dealership rolled his window down and asked. “What is that?” So I told him, and he said “wow can’t believe that’s a Saab, very nice!” I finally had a chance to get the vehicle on the open road. I hit my first onramp and needed to step on the gas a “little” to merge into traffic. Thanks to the heads up display I realized that 75MPH comes a lot faster than just about any other car I have driven. The ride on the highway was about as comfortable and effortless to that of a car with a price tag of well over $100K. After I finally got home I had to of course take the family for a drive in “the spaceship” as my 7 year old called it. Again I felt like I was driving a bright red Ferrari because everyone was looking. When we finally got back to the house I had to look at the car again because I could not believe I was about to say this, but I did. “I like this car better than the Audi.” What did I just say??? Better than the Audi??? Could it be, well that is for you to decide. I highly encourage you to stop by our dealership and be the judge for yourself.